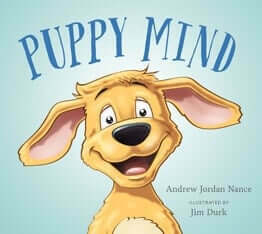 This wonderful and engaging story gives children and caregivers a concrete practice for dealing with anger and other difficult emotions. In Anh’s Anger, five-year-old Anh becomes enraged when his grandfather asks him to stop playing and come to the dinner table. The grandfather helps Anh fully experience all stages of anger by suggesting that he go to his room and, “sit with his anger.” The story unfolds when Anh discovers what it means to sit with his anger. He comes to know his anger in the first person as his anger comes to life in full color and personality. Anh and his anger work through feelings together with humor and honesty to find a way to constructively release their thoughts and emotions and to reach resolve with Anh’s grandfather. The story is beautifully illustrated with handmade collages by New York artist and childrens book illustrator Christiane Kromer. Each collage is a mix of paper, acrylic, and cardboard, and found materials. The materials reflect the connection between the characters and their environment and are indicative of the wide range of emotions that come together in the story. Anh’s Anger teaches children that it is okay to feel angry, and shows the technique, often used by child therapists, of externalizing the emotion. Through taking time to “sit’ with his anger, a young child is able to see his anger and talk to it and together they move through the journey of experiencing the different stages of anger until the feeling subsides and finally resolve. 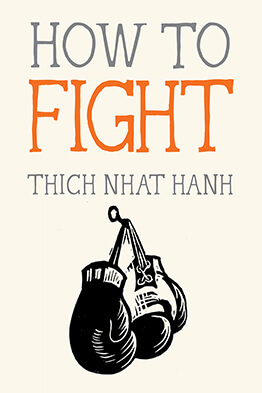 Anh’s Anger differs significantly from other books on anger resolution techniques in showing that the child is able to talk about what transpired and accept responsibility for hurtful things that he may have said or done. 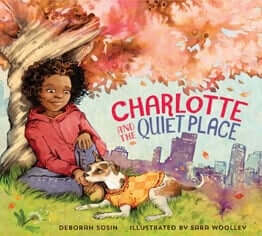 The author’s intention is to help parents understand that there is an alternative to “time out’s” as a means of helping children to express themselves when feeling angry, while providing children with a mechanism for internal dialogue during a “time out” or when “sitting” with their anger. Through reading the story, children will learn to acknowledge anger when it arises, understand the cause of their anger, and ultimately feel safe expressing themselves and accepting accountability for their actions when appropriate. By learning these skills, children, will grow comfortable with them and carry them into adulthood with ease and confidence. Anh’s Anger is the first in a planned series of three books with these characters. Gail Silver, J.D., E-RYT, RCYT, is the author of Mindful Bea and The Worry Tree and the award-winning Anh’s Anger children’s book series. The trilogy includes Anh’s Anger, (winner of the Skipping Stones award for multicultural awareness), Steps and Stones, (nominated for a Bill Martin Jr. Picture Book Award), and Peace, Bugs, and Understanding. 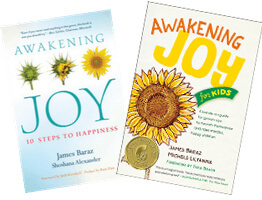 Lauded by Publisher’s Weekly as “a winning series,” the stories provide children with engaging narratives to help them successfully navigate difficult emotions with meditation and mindfulness. A contributing writer to Lion's Roar, Bust, and screenwriter of the animated family film, Planting Seeds of Mindfulness, Gail is best known for accessing the hearts of children through a combination of humor and realistic dialogue to share the teachings of mindfulness. Prior to becoming a yoga and mindfulness educator, Gail was an attorney specializing in children’s advocacy law. Gail currently runs Yoga Child, Inc. and The School Mindfulness Project Inc. You can follow all her news at gailsilver.com. This fable of a little leaf looking for his purpose will delight children and their caretakers.